The final week of season 10 has begun. 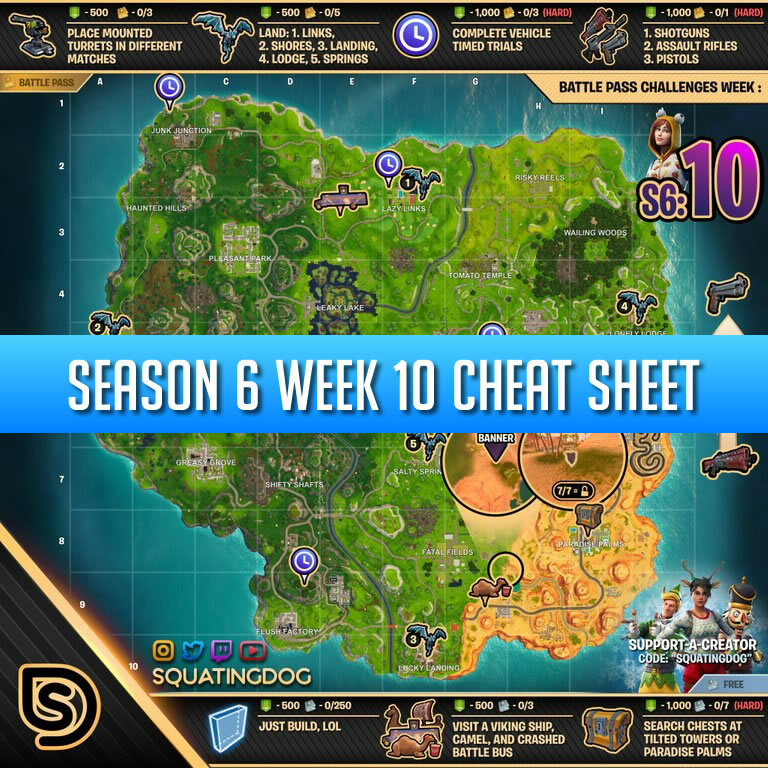 With the release of the week 10 challenges comes an all new cheat sheet to help you complete all of your challenges. Week 10 began on November 29, 2018 and is expected to end on December 6, 2018. 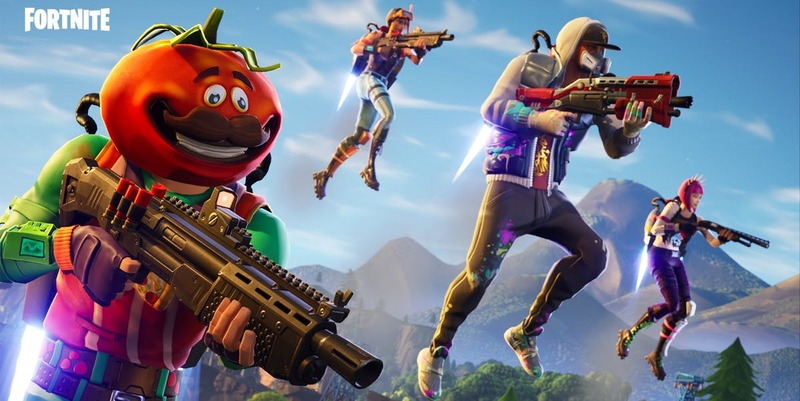 With this being the final week Epic Games have decided to make the challenges pretty straight forward and simple. By making them easy they are hoping players will have the opportunity to reach their goal level on the battle pass. In this weeks cheat sheet the paid challenges are listed along the top, while the free battle pass challenges are on the bottom. Complete vehicle timed trials (3) (HARD) – Timed trials can be found using the season 6 week 10 times trials map. This challenge is as simple as it sounds. Collect your building materials and build ramps, walls, pyramids or whatever type of structure you would like to complete this challenge. This challenge can be complete using the map above. You need to visit the 3 named locations. Keep in mind you do not need to visit all 3 locations in the same match. Two of the most popular places to land just got a little bit busier. Visit these two locations and collect your chests. You do not need to loot all of the chests in one game. The mounted turret, every players favorite addition to Fortnite…not. For this you just need to get lucky and find a turret. Once you have found the turret place it wherever you would like and you will complete the challenge. To complete this challenge you will need to land at all different locations around the map. This challenge requires you to play multiple games as you can’t land at more than one per game. First you will land at lazy links, next you will land at snobby shores, next lucky landing, next lonely lodge and finally salty springs. 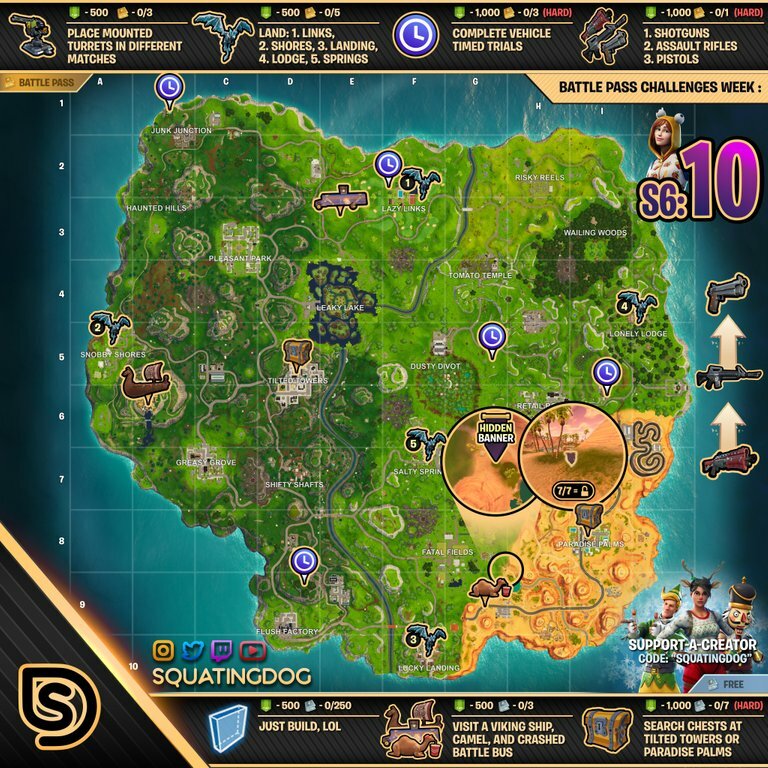 Take a look at the season 6 week 10 timed trials map if you have trouble locating them. These time trials are like the previous ones. However, you will need to do these time trials with a vehicle. Find your favorite ATK and race through the course. Another stage challenge, hopefully the last for Fortnite players. This challenge requires you to do damage with a tactical shotgun, and then an assault rifle, and lastly do damage with a pistol.